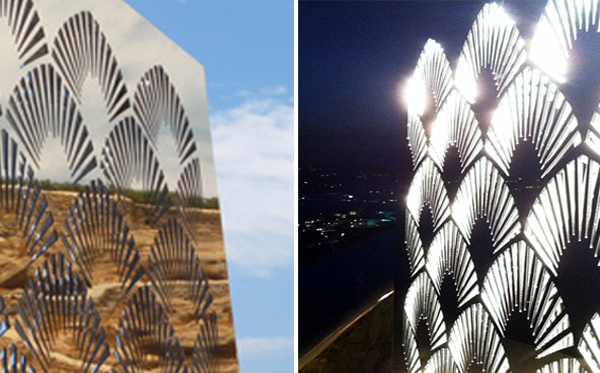 by custom designed lighting or ordinary objects converted to lamps. 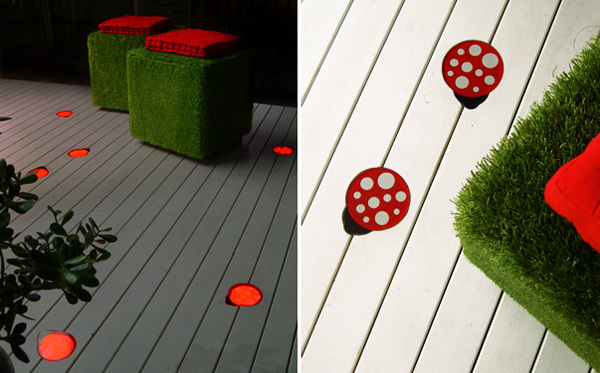 can be seen in this page. 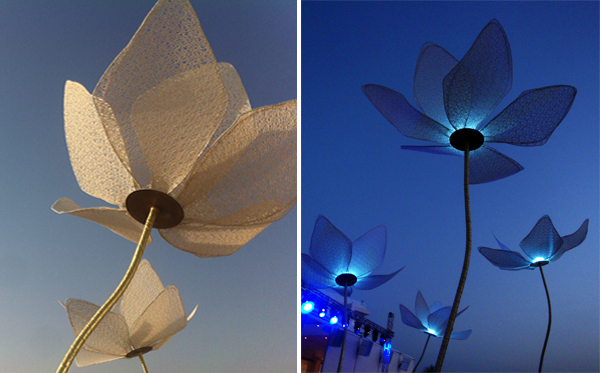 Large scale flower lamps for wedding party decoration. 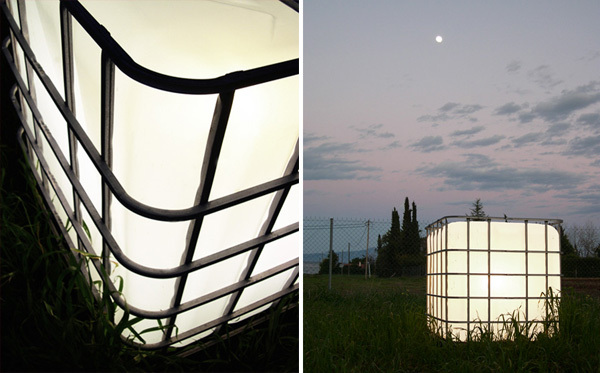 High capacity liquid container converted into a garden light. 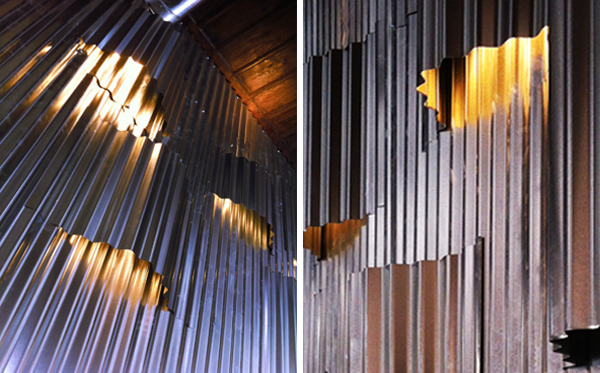 Wall light installation, made of corrugated tin. 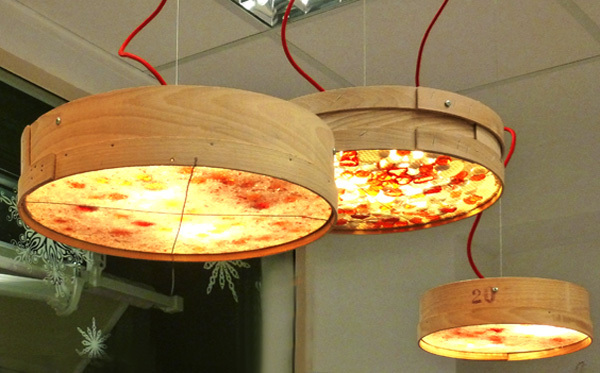 Pendant light fixtures, made of various sized sieves. 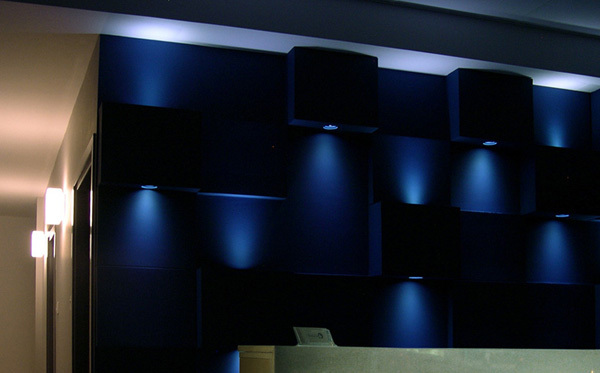 Lighted installation of various sized cubes with built-in LED spotlights.